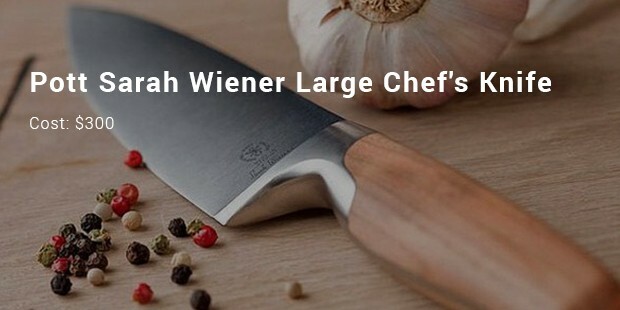 Kitchen knives are one of the most prime tools for your kitchen. It’s your everyday thing and usually come within a decent range of $40 maximum. 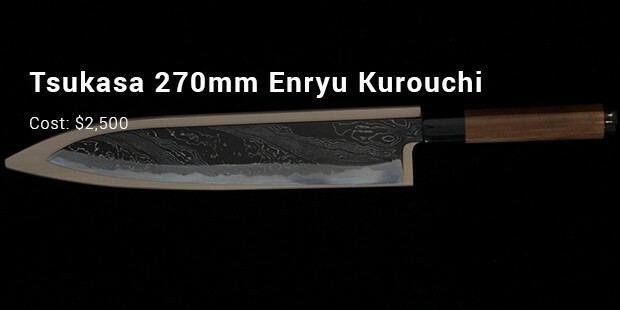 But there are some really expensive kitchen or chef knives that cost your way over $90,000! However, you should understand that the most expensive kitchen knives are no ordinary creations and are made by master knife-makers. These knives are usually designed with finest of blades and are heavily decked in valuable metals such as platinum. Many of them are often studded with diamonds on the collar & carry premium wood handles that naturally up the price. 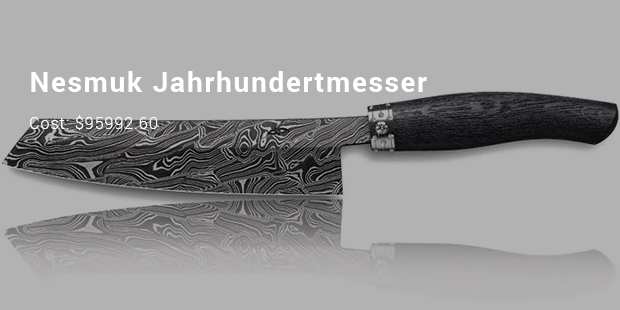 Famous Germany-based knife master Nesmuk has come up with the most expensive kitchen knife in the world. 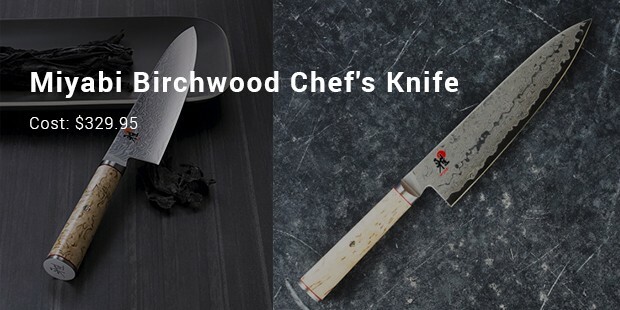 This incredible piece carries premium grade carbon steel as well as a classy wooden handle made from 5,000-year-old strong bog oak. Moreover, you are getting a platinum collar studded with around 25 diamonds. 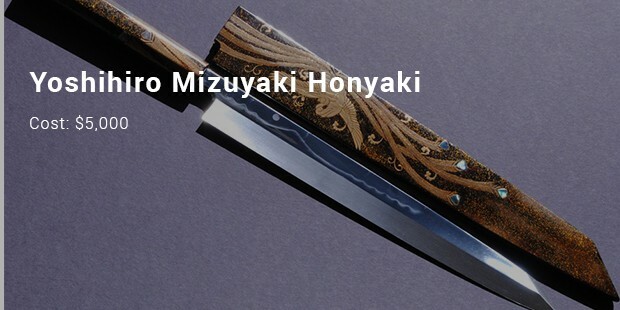 Nippon master blacksmith Mr. Yoshikazu Ikeda presented the 2nd most expensive kitchen knife. 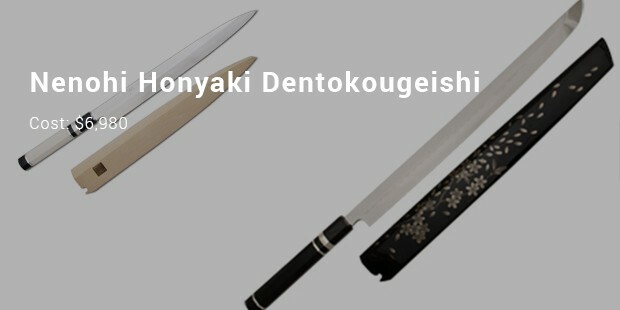 It’s his finest forged honyaki knife with a superior blade. It arrives in a gorgeous hand-painted cover which is beautifully decked up in archaic Wajima Lacquer process. This Yangai-style knife from Sakai is immensely sharp and also a gorgeous piece of art in itself. Decorated beautifully, the blade pattern here depicts the very iconic impression of full moon right over Mountain Fuji –whilst the phoenix has been painted with ancient Fuki Urushi method. Another master creation from the Nippon land- this Sanjo-made white steel kitchen knife is a master creation of Tsukasa Hinoura. It’s hand-forged & twisted further which has resulted in an awesome Damascus pattern right on the knife, on all 3 dimensions. 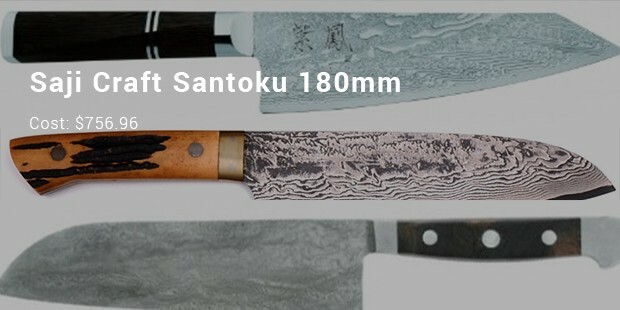 Looking at the list above it seems that Nippon almost has a monopoly on the most expensive kitchen knives. The nation has got some of the best knife makers who amaze with stunning forged knives. 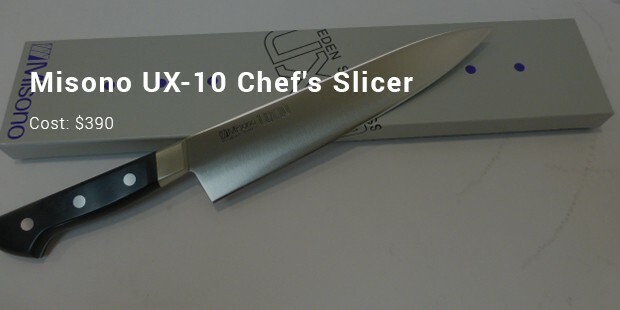 The most expensive kitchen knives are often the best ones, both in terms of blade and looks.